What Can I Expect during an in-person reiki treatment? I will place my hands approximately three inches or higher over your physical body, working solely with your own energy field — this is where I am most able to detect blockages in your chakras and/or physical body. I'll move through all of your Chakra Energy Points starting with the Crown Chakra and finishing with the Root Chakra (located at the base of your spine). Each time I feel a chakra or area of your body which requires clearing, I go to work on clearing it — and once this is done, I begin again at your Crown Chakra, moving slowly down until I feel another blockage. This process continues and once the seven Major Chakras have been cleared of blockages and negative toxins (and any other physical areas where I have been drawn to, due to a blockage), I will continue to clear energy down through your legs, finally finishing with your feet. 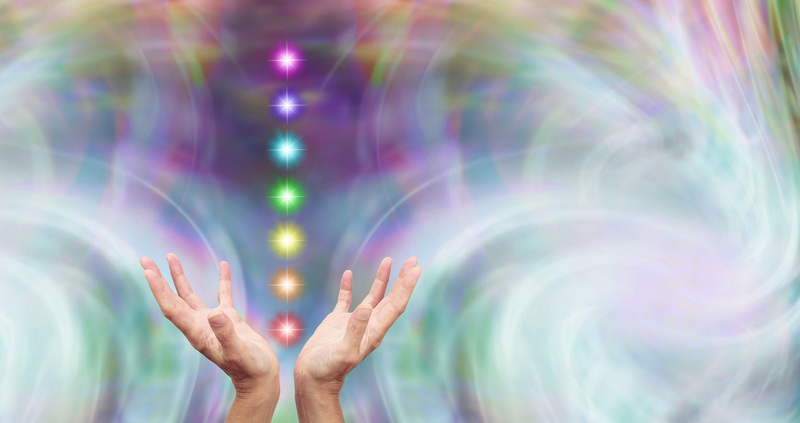 Some clients feel a warm sensation at their Chakra Centers where the Reiki practitioner is focusing on. A light-headed sensation is also common, primarily because of the increased energy in the room. Most commonly, however, the Reiki Treatment is very relaxing and leaves the client feeling refreshed, lighter and more energized than before. It is important to remember that after the initial treatment, clients will continue to feel their energy "shifting" and "re-aligning" over a period of a few days to a few weeks. Be sure to recognize this and allow time for the shift to take place. Can I combine my Healing session with an Angel Light Reading or Intuitive Coaching session? If you have chosen to combine an in-person or Distant Healing session with an Angel Reading or Intuitive Coaching session, please feel free to send by email (or bring with you for an in-person session) any questions or areas you would like your guidance/channelled message to be directed towards at time of booking.